Opera Work includes The Merry Widow, La Traviata, Carmen, Tosca, The Pearl Fishers, Le Nozze di Figaro, La Cenerentola, Don Giovanni, La Boheme, Madame Butterfly, Fidelio, Rigoletto , Die Fledermaus and The Magic Flute for First Act Opera, La Traviata, Cosi Fan Tutte, le Nozze di Figaro, Eugene Onegin, L’Elisir d’Amore and Il Barbiere di Siviglia for Oyster Opera, Eight Songs for a Mad King for Solaris Music Theatre at the Purcell Room, Lucia di Lammermoor, The Mikado, Dido and Aeneas, La Cenerentola,The Marriage of Figaro The Pirates of Penzance, Gianni Schicchi, Cavalleria Rusticana, HMS Pinafore, La Boheme Nabucco, Orpheus in the Underworld, Madama Butterfly, Carmen, Il Trovatore and Macbeth for Opera South East and The Magic Flute for Music Theatre Kernow. At LCMM he has directed students in productions of Hansel and Gretel, Days of Hope, The Soldier’s Tale, Weill Women and Shaken Not Stirred (a new musical written in collaboration with composing students). He also adapted and directed a production of Carmen for the Unicorn Theatre using a mix of professional singers and children from local schools. As a Theatre Director he has directed many productions including A Midsummer Night’s Dream, The Tempest, Abigail’s Party, The Wanderer, Broken Glass, The Importance of Being Earnest and The Threepenny Opera. 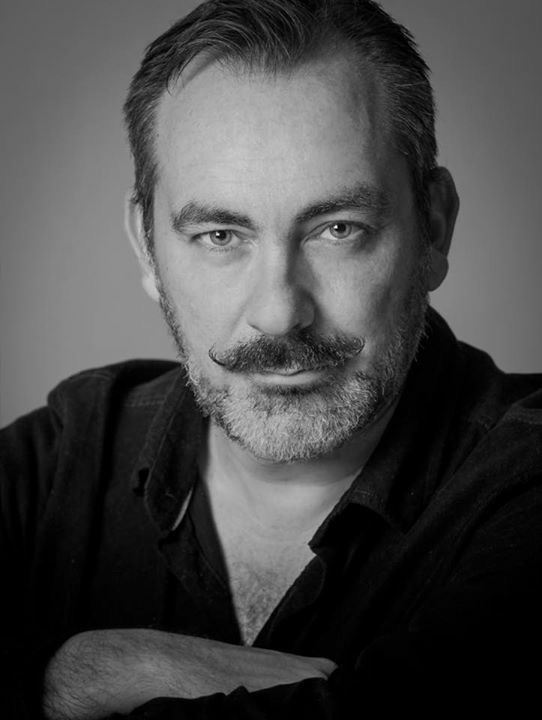 He directed the Scottish premiere of Sondheim's Into The Woods and has won several awards for Best Production on the Edinburgh Fringe. His collaboration with playwright Lynne Harvey includes world premieres of The Jingo Drill, C, Laugh Out Loud and Something For The Grown Ups. He also works in Italy where he has directed touring productions of A Midsummer Night's Dream, The Tempest, Twist and Shout - The Beatles' Story, Jekyll and Hyde, Romeo and Juliet, The Blues Brothers, Hamlet, The Comedy of Errors and A Christmas Carol. He also works as a lyricist and translator, frequently collaborating with the cabaret duo Opera Tottie, performing all over the world and most recently at The Crazy Coqs cabaret in the West End. He has translated many opera libretti including The Magic Flute, La Boheme, La Cenerentola, Orpheus in the Underworld and Die Fledermaus. He has recently completed a new translation of Offenbach’s la belle Helene. Recent projects include: The film “Strangers in the Night” for Strangerfilms Ltd, An updated version of Cosi Fan Tutte for Jackson’s Lane Theatre and innovative productions of The Pirates of Penzance,The Mikado, Ruddigore, The Gondoliers, Princess Ida, Partience and La Belle Helene in Questor’s Theatre, Ealing. Recent work includes A Masked Ball for Windsor and Eton Opera; future projects include productions of Die Fledermaus and The Marriage of Figaro.